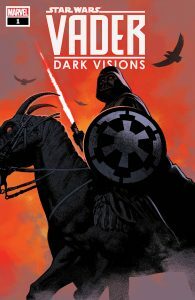 Marvel comics have announced a new Darth Vader centric mini series entitled Darth Vader – Dark Visions from writer Dennis Hopeless and artist Paolo Villanelli. The fallen Jedi has been a symbol of power, a villainous commander, and a Sith warrior. 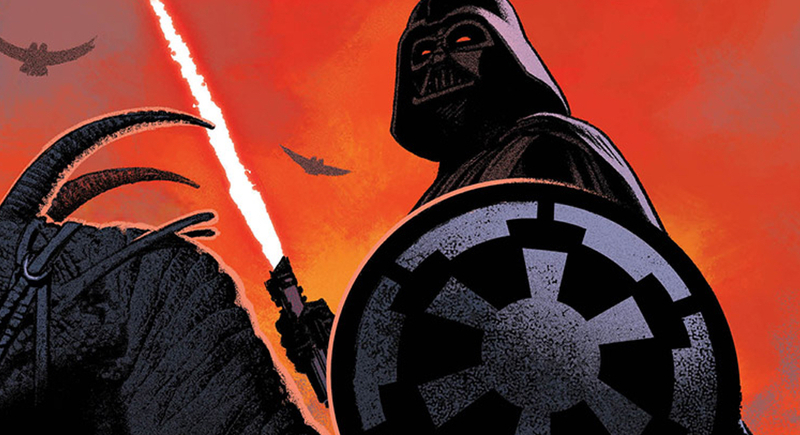 But in 2019, a new limited comic series explores a side of Vader that neither fans nor the galaxy have ever seen before. Writer Dennis Hopeless (Cloak and Dagger, Jean Grey), invites you to experience all-new twisted adventures of the Dark Lord with artist Paolo Villanelli (Star Wars: Lando Double or Nothing, Star Wars: Rogue One Adaptation) taking on issue #1 and break-out artist Brian Level (Thanos Legacy, Amazing Spider-Man: Renew Your Vows) joining for issue #2, Star Wars: Vader — Dark Visions will take readers to the darkest parts of the galaxy — places where the mysterious anti-hero known as Darth Vader can be someone’s greatest fear and even…someone’s greatest hope! The limited series begins with a story that will shed a new light on the many sides of the galaxy’s greatest villain. Don’t miss Star Wars: Vader — Dark Visions in comic shops this March! This new mini-series comes after the cancellation of Chuck Wendig’s planned Shadow of Vader series.